This multi-functional dining table or bar table is designed in true minimalist style to fit perfectly into the busy city-life of today’s urban apartments. 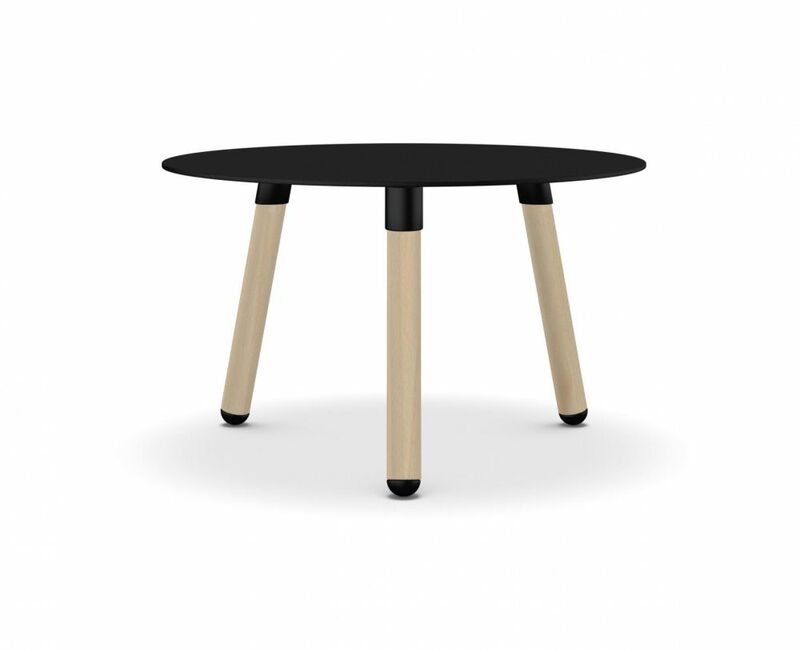 Its apparently simple design – a circular top on four slender legs – conceals a hidden secret: two heights come as standard. In everyday usage, the BCN table is ideal for dining, whether that’s a casual breakfast or an intimate dinner party for four. High version it’s perfect as a cocktail table or a bar for parties; perfect for environments of even the most limited size. For commercial use, a collection of these tables is ideal for restaurants, hotels and bars. This table is available in white or black laminate, so that its minimalist look is both durable and easy to clean. The legs are fashioned from turned wood with a natural finish, or they can be painted to match your flooring. The legs are finished with rubber feet, adjustable for perfect levelling. Versatility combined with great design, using the finest materials, sets these tables apart from the crowd, while guaranteeing you high quality and durability.